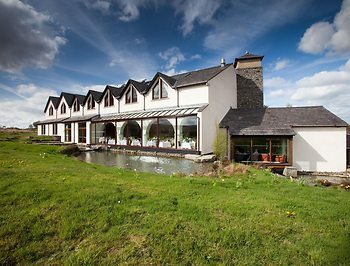 Tebay Services Hotel, Penrith, United Kingdom - Lowest Rate Guaranteed! Located in Penrith, Tebay Services Hotel is in a rural location, within a 15-minute drive of Yorkshire Dales National Park and Shap Abbey. This hotel is 0.5 mi (0.8 km) from Lake District and 13.9 mi (22.4 km) from Lowther Castle and Gardens. It really was very welcoming and geared up for dogs, some hotels say they are but you ar made to feel awkward when you do have dogs with you, but not here. It was a great place to be with your dogs, would highly recommend it. Breakfast was a little expensive, more choice on room service please. Super hotel with very friendly staff and welcoming to dogs. Would have liked hair conditioner. Also it is very good value for couples but expensive for single travelers. As usual a great rest place on our long drive to Scotland. Food and view in the restaurant was splendid. Not your fault but the weather could have been better. Sorry .... please see above! Fire alarm!!!!! at least we were dressed!